Follow Arlene Meraux Elementary on our Facebook page! 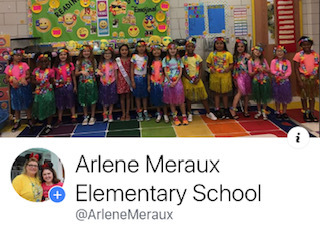 You can now follow Arlene Meraux Elementary on Facebook! Latest news, photos and so much more! 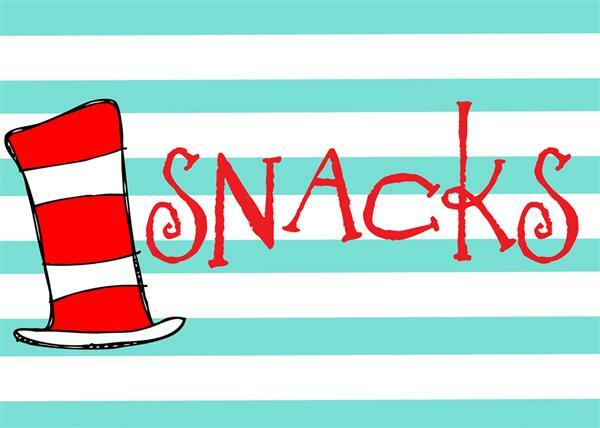 Snack Sale on Thursday! All snacks 0.50-$1.00 each. Terrific Kid Ceremony will be held in our Gym on April 26th at 2:15 pm. Wow, I cannot believe we are beginning our second year at Arlene Meraux Elementary. If you are new to our school family, let me be the first to welcome you! As principal, I am delighted to begin a new school year with you and your children in our new, state of the art campus. Our staff has worked hard to prepare for the opening of our school year. 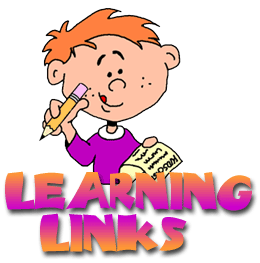 We have scheduled many events for our students and families to share in, and we hope that you will join us in making this a great educational experience for your children. With an experienced, caring faculty and strong parent/teacher communication, this school year promises to be exciting and productive. We are committed to providing a structured, positive learning environment for all children, and we ask for your support by following school policies and procedures. We encourage all parents to become active participants in their children’s education. We have observed first-hand the impact of parental involvement on a student’s success. Whether you are available to volunteer at school during the day, attend school functions in the evening, or simply send your child to school each day with homework completed, you DO make a difference! Do not hesitate to contact your child’s teacher, the guidance counselor, or the office if you have questions. We will work closely with you to address any concerns. Together we will work toward educational excellence for Arlene Meraux Elementary School students. We strive to be a dynamic learning institution filled with enthusiastic students who are challenged daily to think and to succeed. Thank you for entrusting your children to us. The entire staff will work diligently every day to earn that trust. I look forward to getting to know each of you throughout the school year. Arlene Meraux Elementary Garden Club cleans out garden beds and plants winter vegetables. The club meets twice a month to care for their plants. Once the plants mature they will have fresh lettuce, carrots, brussel sprouts, onions, and more! The students enjoy weeding the garden and nurturing their seeds into mature plants. 2nd Annual Christmas caroling within our School Community! Teachers at Arlene Meraux Elementary and Santa Claus went Christmas caroling throughout their school district community. Parents, students and teachers all joined together singing Christmas carols while spreading the holiday spirit. Arlene Meraux Elementary hosted a night for Fathers and Daughters to dance, talk and have a great time. Congratulations to all of our November Terrific Kids! Arlene Meraux Elementary held its Annual Mother and Son Dance in November. Mothers and sons danced the night away while spending time with the Meraux Family. The second graders at Arlene Meraux Elementary learned about the War of 1812. Students enjoyed learning about James Maddison, Dolley Maddison, Fancis Scott Key, “The Star Spangled Banner,” and the British and their three-part plan to attack the United States. Congratulations to Ms. Rachel Walsh who was selected as the Teacher of the Year at Arlene Meraux Elementary School. The second graders at Arlene Meraux Elementary learned about Ancient Greek Civilization and Greek Mythology. Students enjoyed learning about the Spartan Army, Greek gods and goddesses, mythical animals such as the Minotaur, Sphinx, and the Nemean Lion and about the Olympic Games. On Wednesday, October 10th, Arlene Meraux Elementary's Preschool students enjoyed a visit from the St. Bernard SWAT Team . The preschoolers learned all about the important job of the SWAT Team Members and were able to tour the inside of their vehicles. Grandparents and Special Friends spent the evening at Arlene Meraux with their grandchildren as they participated in Science and Math Activities! Click for more photos!